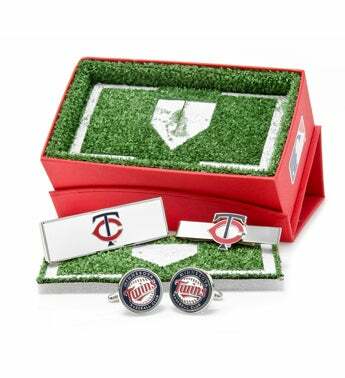 The Perfect Gift For The Sports Lover In Your Life, The Minnesota Twins Gift Set Features A Pair Of Officially Licensed Cufflinks, A Moneyclip And Team Tie Bar. Ideal For The Fashionable Fan, Support Your Team In The Most Sophisticated Of Ways. Officially Licensed By Major League Baseball.